The Canadian Deaf Sports Association (CDSA) and the Canada Deaf Games (CDG) 2018 Organizing Committee are very excited to announce the Kyte family’s participation at the CDG that will be held from Feb. 21 to 24 in Winnipeg. No less than nine members of the Kyte family will form Team Kyte 2018 and participate in the Ice Hockey event. Brothers Rob, John Sr., Frayne and Jim will provide veteran experience. The brother and sister combination of Emma, Abigayle, Thomas, and Johnny Jr. with cousin Sean will lead Team Kyte with their youthful vigour and skills. Team Kyte is one of five teams that will compete in the Ice Hockey event at the 2018 CDG. Seven Canadian provinces will be represented by the five teams. Team Kyte and family members are well known for their achievements in Deaf Ice Hockey as well as in Rugby, Lacrosse and Rowing. The Kyte played in the U Sports formerly the Canadian Interuniversity Athletics Union, Quebec Major Junior Hockey League, National Collegiate Athletic Association and National Hockey League (NHL) as well as were part of provincial and national teams. Jim Kyte, with a profound 100 decibels hearing loss, is the only Deaf player in the history of the NHL. 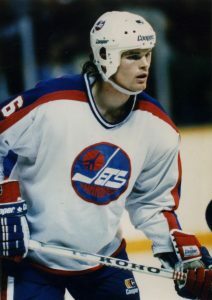 The 1st pick (12th overall) of the Winnipeg Jets in the 1982 NHL draft went on to play 640 regular season and playoff games over 13 seasons with five NHL teams — Winnipeg, Pittsburgh, Calgary, Ottawa and San Jose. Brothers Frayne (Gold medalist) and Murray respectively represented Canada at the 1999 and 1991 Winter Deaflympics. 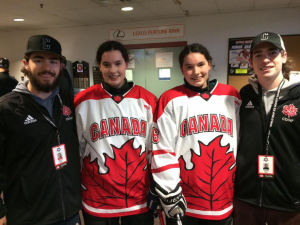 The younger Kyte generation composed of Abigayle, Emma, Thomas, Johnny Jr., Patrick, and Sean represented Canada at the 2017 World Deaf Ice Hockey Championships in Amherst, U.S. The CDSA and CDG Organizing Committee would like to sincerely thank the Kyte family for its participation at the Canada Deaf Games.